Heather on the field at Culloden. 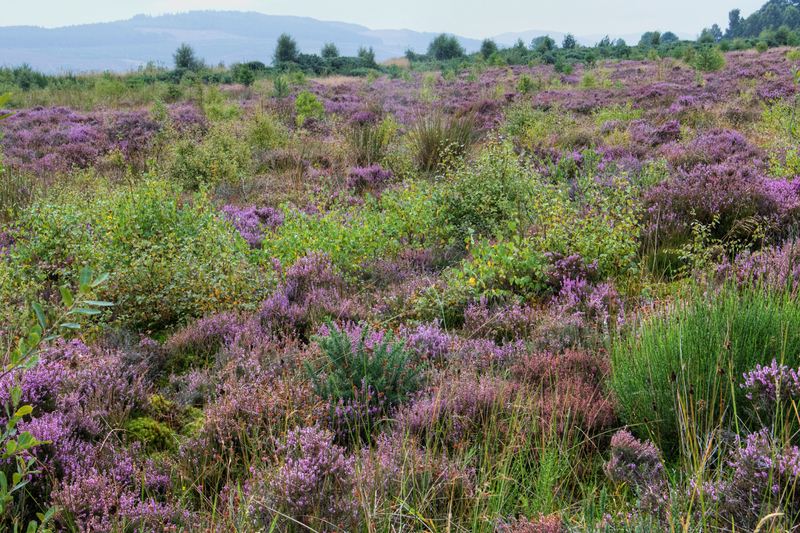 Seen from a distance, on a mountainside, heather looks almost reddish-brown. Under gray skies in a light rain, the purples stretch on forever.